2017 Food Trends: the hot, the not and the ones to spot. According to those in the know these are some of the food trends coming our way in 2017. In my cynical mind this usually means things to be wary of or foods that will become super expensive. However there are also some interesting new foods on the horizon which I’m looking forward to trying. Meaning any drink, juice, potion, shot or magical elixir that can boost your health. This year the money is on using alternative medicine’s roots, shoots and leaves. Products such as maca, holy basil, apple cider vinegar, medicinal mushrooms and kava are tipped to be added into the mix. Priya says: These alternative medicines are alternative as we don’t have enough research and evidence to prove their benefits. 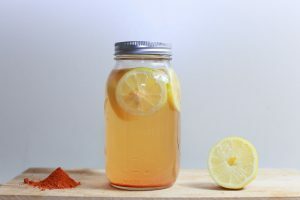 A lot of these drinks are unlikely to contain enough of these ingredients to have a benefit on the body and are likely to be a marketing ploy. There may be some good ones out there, but remember that water is always the best drink to be having, follow that up with plenty of fruit and veggies to pack yourself a wellness punch. The waste from making products will be turned into new products. For example using the leftover water from chickpeas as an egg replacement or the left over whey from making Greek yoghurt to create a probiotic drink. Priya says: I like this. We need to cut down on our food waste, using all the leftovers is a brilliant idea. It is what I try to do in my kitchen and we are all encouraged to do it, so why shouldn’t food manufacturers try too? Yes the humble coconut is still hot to trot in 2017 with novel products continuing to come out. Tortilla wraps, butter, ice-creams, coconut flour and sugar are all set to be popular. I just hope there are enough coconuts being grown to support this craze. Priya says: Whilst there is nothing wrong with coconut, in fact it is very nutritious, I do have an issue with it being over-used. 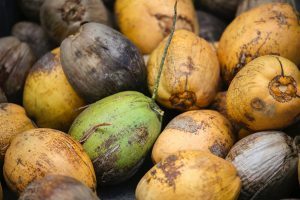 We do not need to be having coconut versions of everything and adding coconut oil to foods when it is not needed. Coconut products such as sugar and flour do have some good features such as their low glycaemic index, however the coconut is high in saturated fat and so with all foods it is best to consume it in moderation and wisely. Sushi has been popular for a while (it’s one of my children’s fav meals). Now in 2017 Japanese condiments, pickles and different types of seaweed are coming our way. 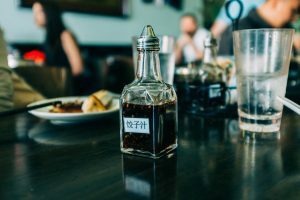 Mirin, Miso, sesame oil and plum vinegar may not be unheard of in your kitchen but are set to be more popular in our store cupboards. Nori is already available in the supermarkets, but more seaweeds such as kelp, wake and dulse are set to follow suit. I personally would love it if there was more of a trend for foraging these for ourselves. Now who wants to show me which seaweed I can pick up off the beach and how to use it? 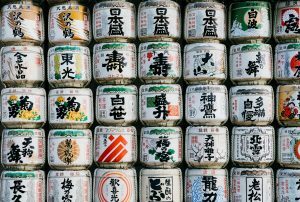 Priya says: Savoury Japanese flavours such a matcha tea, green tea, azuki bean and mochi are likely to be popping up in recipes for cakes, desserts and breakfasts. All in all I’m excited about this one and look forward to trying new combinations out. Condiments look like they will be big news in 2017. With rare, traditional and new flavours of sauces and dips coming out. Apparently we have pomegranate molasses, beet salsa, mexican hot chocolate spread, plum jam with chia seeds and habanero jam. Priya says: These all sound exciting but may not fit with the current thinking on reducing sugar intake as many condiments are high in sugar content. Again it is all about how much of these products you have and how often you use them. They can certainly bring flavour and interest to a meal, just remember that a little can go a long way. Ancient and different grains have been increasing in popularity. Partially fuelled by the clean eating brigade, plant based eaters and the gluten free movement. Quinoa, lentils, chickpeas flour are making popular noodles. Also spiralized veggies will continue to rise and seaweed noodles are set to make headlines. Priya says: It is great to have all this variety. Using different grains is great at it brings more variety into the diet and with that, a broader way to get good quality nutrition into the diet. Although there is absolutely nothing wrong with wheat based pasta, using these other forms of noodles opens up things for people on vegetarian, gluten free and specialist diets plus it makes it more interesting when making meals. 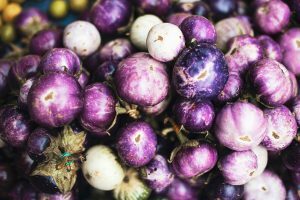 If you like purple then you are in for a treat as purple cauliflower, black rice, asparagus, carrots, elderberries, beetroot, corn and potatoes are the foods to watch in 2017. Why purple? The colour indicates higher antioxidant content, it comes from anthocyanins which are action packed nutrients aiding in fighting ageing, cancer and chronic diseases. For example, purple potatoes are high in iron and antioxidants. Priya says: Purple foods are an interesting trend and very nutritious so I would certainly recommend eating them. Hopefully this trend may helps make fruit and vegetables more appealing to some people and increase their intake of these foods. Remember that we need to eat a range of fruit and vegetables so focus on eating a rainbow and not just purple foods. What are your fav food trends?